MR Online | Victory for Valve Turners in Minnesota! We are pleased to announce a victory in our Minnesota Valve Turner case! This trial was a roller coaster with many twists and turns, but all three defendants were acquitted of their charges this morning in court. They were acquitted, not on the necessity defense, but because the prosecution could not meet the burden of proof that they had committed a crime. Read below to find out more information, and follow along on our social media for updates as this story unfolds on a national scale! Dr. James Hansen was another of the expert witnesses scheduled to give testimony. 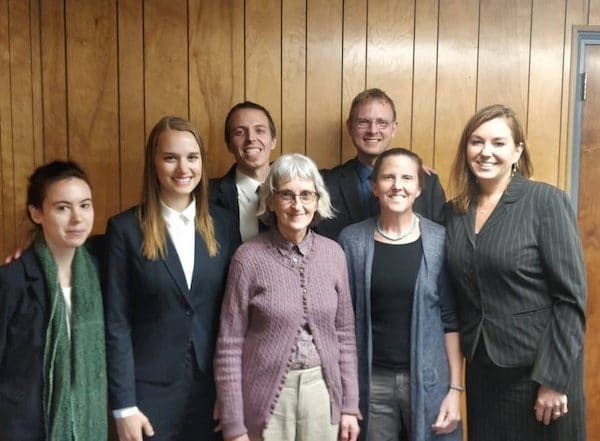 “It’s great that the defendants were found not guilty, but we missed an opportunity to inform the public about the injustice of climate change. Now we need to go on offense against the real criminals, the government,” said Former NASA Chief Scientist Dr. Hansen. The government, especially the Trump Administration, is guilty of not protecting the constitutional rights of young people. They should have a plan to phase down fossil fuel emissions, but instead they aid and abet the expansion of fossil fuel mining, which, if not stopped, will guarantee devastating consequences for young people.